At Sdirect we believe professional chemistry is vital to the success of any working relationship. Creating some communications can be highly demanding and time critical task which requires all of the elements of a project to come together in the right order at exactly the right time. In the management of any project, the successful outcome depends on strong and open communication, adherence to schedules while offering some degree of flexibility. The account director will work with your team to help streamline the time commitments, communicating deliverables throughout our process, and will be fully available and accessible to work with your requirements. Our management skills have been thoroughly tested and proven effective with many non-negotiable deadlines. Our offer is an exceptionally high level of client service with our team of experienced account managers. At Sdirect, we draw on the collective experience of our designers and communication specialists. Our senior team brings a wealth of experience with communications projects and understand the unique and demanding nature of the tasks. James has over 20 years’ experience in the marketing communication industry. He has worked with some of Australia’s largest corporates including Accor Hotels, Australand, Buss(Q), Coates Hire, Coca-Cola Amatil, Compassion Australia, Mirvac, Macquarie Bank, Multiplex Brookfield, Qantas, RACQ, Sunland, Steadfast Group, Westpac Bank, Zurich Insurance. Since 2004, Sdirect has exceeded all expectations and James has shaped the business into a leading creative agency. James continues working directly with companies such as: Mirvac, Compassion Australia, Macquarie Bank, Qantas and Steadfast Group. James built Sdirect on the foundation of a core belief in meeting and exceeding clients’ expectations. James has an uncompromising attitude to deliver through a team of highly experienced specialists, which ensures the highest level of account service with outstanding and engaging creative solutions. 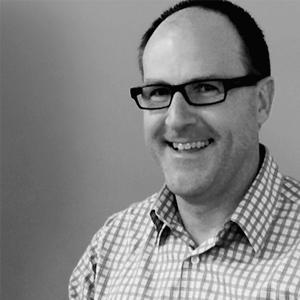 Dan has over twenty years experience in branding and design working in London and Sydney. The scope of his work covers clients large and small, including naming and identity work, design for print, new media, fashion, illustration, exhibitions and web. Dan considers ideas to be paramount. Successful solutions begin with a clear and agreed upon brief. Thinking, questioning, thinking, brainstorming and some more thinking will establish clear goals. From there, with energy, winning ideas can be generated, refined and perfected. Dan is a pragmatic, strategically inclined creative, and passionate about good work. Enthusiasm, energy and effective communication skills have resulted in successful solutions for our clients. Ivan has over 20 years’ experience within the digital space working across a range of platforms and technologies allowing us to provide you with the best possible technical solution for your project. He has worked in small start-ups through to large multi-national consultancies and boutique digital agencies. This experience has enabled him to develop a wide range of skills and experience across multiple disciplines, uniquely positioning him to help clients get the most out of the digital space. He has extensive technical experience and knowledge and has a particular interest in human, computer interaction and conversion optimisation theory. In his spare time Ivan is a keen amateur photographer often found lurking in obscure places at strange hours with an unhealthy obsession for sunrises & night skies.